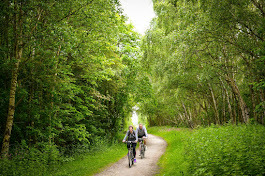 The 8th of August had an early 5am cycle ride over a beautiful mist covered Sefton countryside. Destination was the Lydiate Scouts Car Boot Sale. It was a well organised event. 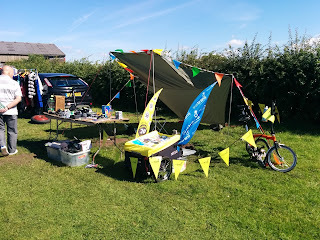 Distribution of Sustrans and Trans Pennine Trail leaflets was well received and it was interesting to visit the car boot sale with only a bike and trailer. With its close proximity to the Trans Pennine Trail/Route 62 It is certainly an event to visit in the future http://www.lydiatescouts.org.uk/fundraising/carbootsale/ . 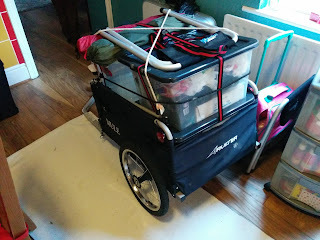 Packed and ready to visit the Car Boot. The Pitch with Sustrans and TPT leaflet stand.